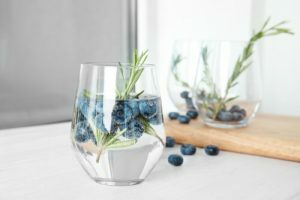 Gin Hangover Effects: How To Avoid And Deal With Gin Crapulence? Gin, usually made from distilled botanicals such as juniper berries, coriander, almond, or cinnamon, contains about 40% alcohol. This means having one too many can cause hangovers from concentration struggles to fatigue and general body weakness. Read on to learn more about the peculiarities of a hangover after gin. What are the causes of gin hangover? What are the symptoms of gin hangover? Do different types of gin give different hangovers? How much gin will cause a hangover? Does no hangover gin exist? How to prevent and treat gin hangover? Will Gin Give You A Hangover? Well, the answer is simple; the alcohol content in liquor is the main cause of after effects. Ordinarily, the percentage of ethanol which is the only consumable variety of alcohol stands between 37.5 and 50 and partially addresses the question of how long does a hangover last? When taken in greater quantities, this level of alcohol is enough to dehydrate the body and cause gin hangover headache, fatigue, muscle aches, and nausea the following day. Categorized together with tequila as clear liquors, the likelihood of liquor causing an aftereffect is intensified by mixing drinks. That said, some people claim that gin doesn’t give a hangover. This is a question of relativity; it always depends on a set of factors. Excessive consumption of liquor loads the body system with alcohol and metabolites. There are several ways people experience a hangover from the gin. Below are some of the notable pathways. Dehydration – Consumption of juniper-based spirits increases the production of urine thereby dehydrating the body through loss of fluids. This also causes an electrolyte imbalance commonly associated with morning-after symptoms such as dizziness, weakness, and lightheadedness. Irritation of stomach lining – The alcohol introduced through liquor consumption increases stomach acid production and delays stomach emptying. This can cause vomiting, nausea, abdominal pain among other symptoms of a hangover after drinking gin. Falling blood sugar levels – Alcohol causes blood sugar to dip. If the levels go too low, they may cause weakness, fatigue, mood disturbance, and shakiness. Disruption of REM sleep – Even though booze induces sleep, it reduces rapid eye movement sleep. This causes awakening at night thus leaving one tired and groggy in the morning. Triggers inflammatory response – The ethanol in Traditional British liquor can cause the immune system to trigger agents that in turn produce physical symptoms such as memory problems, loss of interest, decreased appetite, and inability to concentrate. This is one of the terrible hangover gin symptoms. Anxiety, depression, irritability, and other forms of mood disturbances. While it cannot be said that one can never get a hangover from gin, most of these symptoms go away on their own. However, when they last longer than expected or begin to affect the quality of life such as performance at work and personal relationships, seek medical advice. The evolution of juniper-based spirits has given rise to different varieties and opened a wide range of choice on what to drink instead of beer. Each version is having a unique flavor, aroma, and alcohol content. Because of this, the severity of aftereffects varies with the type of drink consumed. The existence of gin that doesn’t give hangover is still a highly debatable area. London Dry – This is the commonly known type of liquor. It has a juniper flavor coupled with a pungent aroma. Its level of ethanol is 37.5 percent average by volume (ABV) and contains 0.01 grams of sugar for every liter of alcohol. Because it is distilled with botanicals for several rounds, its purity is high and the dry gin hangover effect very low. Old Tom – Originally, Old Tom contained lots of sugar or honey hence sweeter to taste. The level of a hangover in this liquor is higher than London Dry because of the high sugar levels in the tonic water. It is advisable that Old Tom drinks with soda water to lessen the chances of dealing with a gin hangover. Plymouth – This Traditional British liquor is 41.2 percent ABV and slightly less dry with a lower proportion of root ingredients than the London Dry. There are also varieties with strengths of 47 and 57 percent ABV. Compared to London Dry, this is a terrible hangover gin. Dutch – This is a distilled malted spirit that is blended with grain neutral spirit. It is further distilled with herbs and spices such as juniper berries. Dutch is 50 percent ABV. In terms of after effects, it is close to London Dry. International Style – This refers to a wide range of juniper-based spirits that combining much lower levels of junipers and unusual mixtures of botanicals. The low levels of juniper mean that international style liquors have high morning-after intensities. Cheap or inexpensive spirits are usually produced with ingredients that are not as costly and include lots of sugars. This explains why cheap gin gives hangover more than conventional liquors. This notwithstanding, there is still a clear difference between light vs. dark rum hangover. Type of Gin – Darker as opposed to clear liquors tend to increase the severity and frequency of hangovers. The alcohol content in juniper-based spirits differ, and this influences the different levels of after effects they cause. All this considered, it is possible to have less hangover with vodka. Levels of Hydration – Alcohol by its nature dehydrates the body. However, when liquor is taken with hydrating accompaniments such as soda water and green tea, chances of having a hangover after one shot of gin are minimal. Mixing liquor with other alcohols such as whiskey and brandy leads to a much stronger mixture with congeners that can cause stomach irritation and effects. Gin and tonic is one of the basic cocktails usually served with a slice of lemon and ice. However, the question is, will a gin and tonic give you a hangover? The attraction of liquor and tonic molecules makes such a good blend with a great flavor that goes along with it. In terms of gin and tonic hangover, pure liquor has a high level of veisalgia intensity because of its alcohol concentration. When tonic water is added, the dilution effect makes gin and tonic good for avoiding a hangover. There are people who say, “gin doesn’t give me a hangover.” This is not strange bearing in mind that there are manufacturers who claim that their drinks are organic liquors created with Vitamin B and C sugarcane base. The vitamins are said to combat dehydration. The hangover free gin is produced using a unique filtration process that constitutes six rounds of distillation. Though these claims exist, drinking more of the stuff irrespective of the purity can give rise to morning-after symptoms similar to tequila headache. There are several ways on how to cure the hangover from the gin. For instance, drinking water and electrolytes can neutralize the diuretic nature of alcohol. Consuming some carbohydrates is another gin hangover cure that can help in restoring normal blood sugar and lessen the impact of aftereffects. 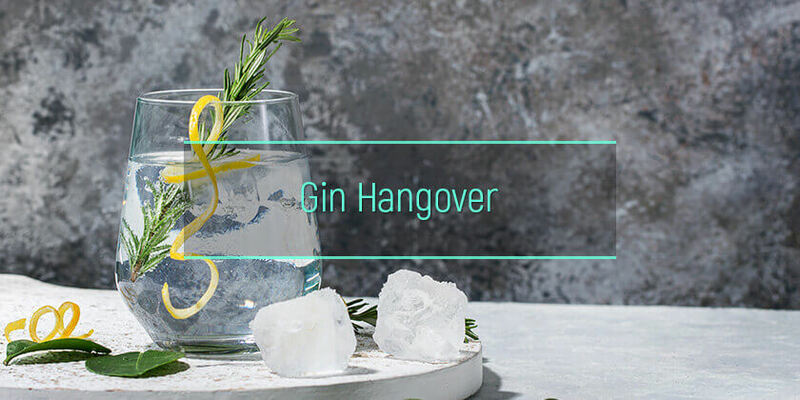 Taking ginger and having an adequate sleep can are some of the other ways on how to avoid gin hangover. In case the hgin hangover is too severe, it’s better to ask for help in one of the problematic drinking recovery centers. Their trained professionals will provide assistance and counseling, as well as offer some alcohol abuse treatment approaches.